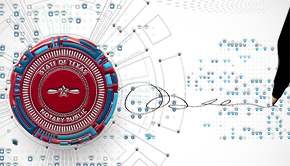 ​​​​Advances in technology have already significantly changed the way many real estate transactions are conducted in Texas. Electronic documents and signatures, once seen only in James Bond movies along with telephone wristwatches, have become a reality. Many contracts, addenda, and disclosures are now signed electronically, as are many lending and closing documents. Some counties even accept electronic recordings of recordable documents. Until now, though, documents required to be notarized injected inconvenience and delay into an otherwise routine transaction. A new development in Texas law will allow Texans—and others—to complete notarized documents without even taking off their Dearfoams. H.B. 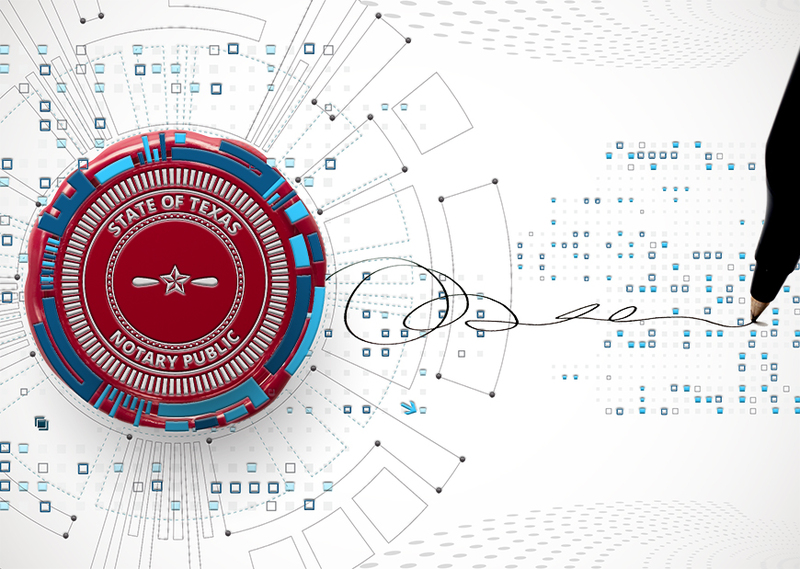 1217, which takes effect July 1, 2018, introduces online notarization to Texas. What D​​oes a Notary Do? Among the public, there is considerable confusion over what exactly it is that a notary public (often simply called a notary) does. A notary is an officer commissioned by the state to perform certain legal functions. The most common of these are taking acknowledgements of documents, administering oaths, and taking depositions. A notary's seal attached to the document attests to the genuineness of the document. The seal is prima facie proof that the notary, as a disinterested party, has notified the signer of the document's importance, and the signer has declared to the notary that the signer's identity, signature, and reasons for signing are genuine. In most transactions, this is the only role the notary plays. Once the document is notarized, others rely on the notary's seal and signature as indicators that the signed document is genuine. On some occasions, signatures and notarial acts are disputed, and signers, witnesses, and notaries are called to testify about the documents and signatures. Most laws governing notaries public are set forth in the Texas Government Code, Chapter 406, Subchapter A. The new law, most of which is now codified in Chapter 406, Subchapter C, creates a separate class of notary public. That is, there are now "traditional notaries" (Subchapter A) and “online notaries" (Subchapter C). Any Texas notary must be a resident of Texas, at least 18 years old, and must not have been convicted of a felony or crime involving moral turpitude. Texas notaries do not automatically become online notaries, and they may become (or remain) traditional notaries without seeking appointment as online notaries. Becoming an online notary requires a separate electronic application. The applicant must be a traditional notary already (or a traditional notary applicant). In addition to meeting all of the requirements to be appointed as a traditional notary, applicants must provide an email address and further certify they will comply with the standards developed by the secretary of state for online notaries. Online notaries are authorized to perform the same in-person notarial acts as traditional notaries. They may also perform those acts online. Online notarizations must be conducted by two-way video and audio conference technology that satisfies the standards set by the secretary of state. To make sure signers are who they say they are, the statute charges the secretary of state with developing and maintaining standards for such technology, including standards for credential analysis and identity proofing. The online notary may accept an electronic signature from a signer whether the signer is located in Texas or out of state. In doing so, the notary must verify the signer's identity. As with a regular notary, signers not personally known by the notary must present government-issued identification containing the signer's photograph and signature, such as a driver's license or passport. The credential must go through a credential analysis and identity-proofing process to confirm the validity of the credential and the identity of the signer. These processes will be provided by a third party as approved by the secretary of state. While the signer need not be located in Texas, the notary must be within the state's physical boundaries. An online notary must take reasonable steps to ensure the integrity, security, and authenticity of online notarizations and keep a secure electronic record of the electronic documents in each online notarization. This record must include the date and time; the type, title, or description of the document or proceeding; the type of notarial act performed; the name and address of each participant; and the evidence of identity presented to the notary. The notary may charge the same fees as a traditional notary plus an additional $25 online notary charge. The fee must be included in the record. These electronic records are essentially the same as the written record required to be kept in the notary's record book, but there is one important additional requirement. The electronic record must include a recording of any video and audio conference that is the basis for satisfactory evidence of identity. An online notary is responsible for maintaining a backup of these records and for protecting the backup from unauthorized use. Records of online notarizations must be maintained for at least five years, whereas a traditional notary's record must be kept for three years or until the notary's commission expires, whichever is longer. Online notaries are subject to additional requirements designed to ensure accuracy and protect against fraud. An online notary must take reasonable steps to ensure any registered device used to create an electronic signature is current and has not been revoked or terminated by the device's issuing or registering authority. The online notary's electronic signature, seal, and records must be kept secure and under the online notary's exclusive control. The online notary's electronic signature and seal must be attached to the electronic notarial certificate of the electronic document in a manner that may be independently verified and is tamper-proof. So, if your real estate professional asks you to open your email, read and electronically sign the attachment, and return it with your electronically notarized signature (on a federal holiday, no less), he's not flashing back to his previous career in international espionage. He's just keeping up with the times. Adams (radams@mays.tamu.edu) is a member of the State Bar of Texas and a research attorney for the Real Estate Center at Texas A&M University. Nothing in this publication should be construed as legal advice. For specific advice, consult an attorney.